I was browsing through the blogger challenges listed on the [SL] Blogger Support site and I stumbled upon “Class Picture”. It is hosted by Cadence Aldrich and you can read her original post here. The challenge is to make your avatar look like you when you were in your senior year of high school. Class of 2007 – I was one of those girls who you wouldn’t notice when you pass by the corridor. I wasn’t totally nonexistent but somehow close to that. 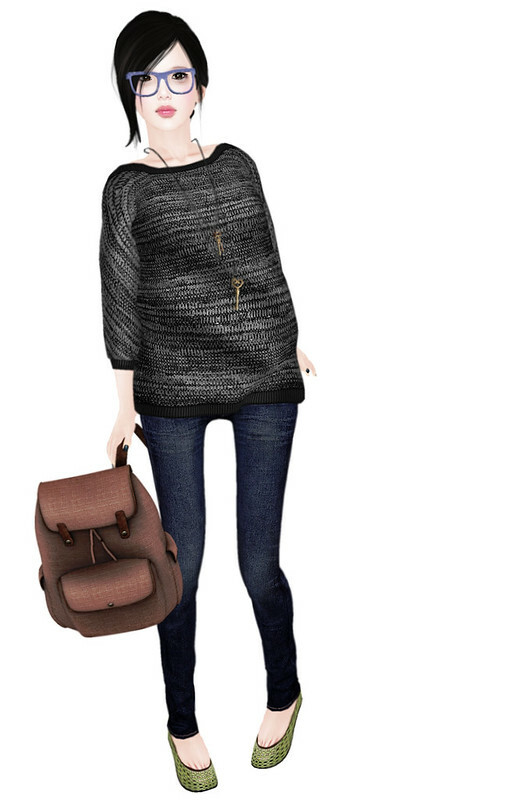 My normal outfit would be a pair of jeans, baggy shirt/sweater, and flats/sneakers. Let’s not forget my dorky glasses (which emphasizes my panda eyes). My idea of makeup is chapstick and my hair is always pulled back in a messy bun.